Excellent clarity, chemical resistance and autoclave able. 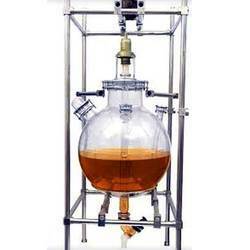 Volumetric Flasks are widely demanded by our clients for the qualities like un-breakability and reliable performance. Complying with the standards, these flasks are available in different grades and dimensions as per the requirement of our valuable clients. 1. Flasks, Volumetric, With Interchangeable Plastic Stopper. Ideal for weighing small quantities of powder. Easy to use with hollow stem to aid introduction of the powder into narrow neck vessels e.g. volumetric flasks The flat base ensures stability on the balance pan. Flasks seems to be the important requirement of any laboratory. ASGI has a wide range of flasks to offer varying from boiling distilling Erlenmeyer filtering iodine kjeldhal and conical for a variety of applications. 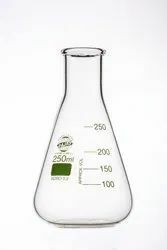 An Erlenmeyer flask, commonly known as a conical flask or E-flask, is a widely used type of laboratory flask which features a flat base, a conical body, and a cylindrical neck. We provide wide range of laboratory glassware, these products are made from heat and chemical resistant borosilicate glass of low alkali content. Range of product is such that it serves different needs of various customers. This section covers the comprehensive range of interchangeable jointed ware for every day laboratory work, which can be used efficiently for inter-connecting laboratory apparatus.